In October 1517, Martin Luther famously published his 95 Theses, unleashing criticisms that resulted in a rejection of the pope’s authority and fractured Christianity as he knew it. Exactly 500 years later, Brad S. Gregory, the Dorothy G. Griffin Professor of Early Modern European History and Director of the Notre Dame Institute for Advanced Study, explains how this eventually, but unintentionally, led to a world of modern capitalism, polarizing politics and more. In Gregory’s latest book, “Rebel in the Ranks” (HarperOne), he explains that in the early 1500s religion was more than just one component of a person’s lifestyle in Western Europe and that Christianity, as the dominant religion, influenced all areas of Christians’ lives. However, after Luther’s initial concerns inadvertently created a movement — the Reformation — the result was a division between Catholicism and the varied Protestant traditions, conflicts among those traditions and, eventually, changes in how religion influenced people’s lives. This effort to coexist and the desire for economic prosperity, Gregory argues, resulted in a “centuries-long process of secularization.” Religion was redefined and its scope restricted to a modern sense of religion as individual internal beliefs, forms of worship and devotional preferences. This made religion separable from politics, economics and other areas of life. With this, Western society has increasingly struggled to come to a consensus on politics, education and other social issues without the direction of an overarching faith or any shared substantive set of values to replace it. The Reformation’s unintended consequence of modern individual freedom has positives and negatives, he explained. Although people benefit from individual freedoms that were not available 500 years ago, these freedoms have also led, for instance, to the right for someone to purchase whatever they want without regard for the needs of anyone else. 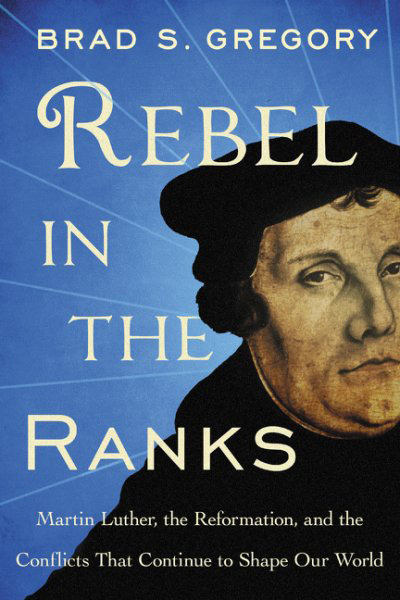 Gregory is the director of the Notre Dame Institute for Advanced Study and author of “The Unintended Reformation.” To learn more about him as well as his latest book, “Rebel in the Ranks,” visit https://ndias.nd.edu/books/rebel-in-the-ranks/. Originally published by Brandi Klingerman at news.nd.edu on October 26, 2017.